Tomahawk axes often invoke images of early North American Native American tribesmen and women. Though this is an accurate association — the word tomahawk itself is derived from the Powhatan word tamahaac— modern tomahawks, similar to their early predecessors, are multi-purpose tools used to execute several tasks. 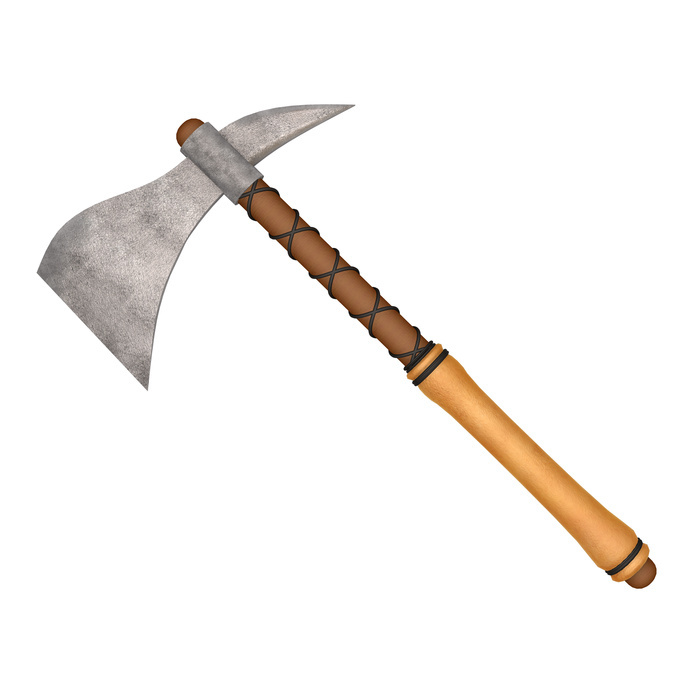 Though most people are familiar with fighting tomahawks used in to hand to hand combat, tomahawks were used by Native Americans, and later by early European colonists, for a variety of functions, ranging from planting to skinning hides. Over the course of the 18th and 19th centuries, thousand of tomahawks were hand made, with no two being exactly alike.